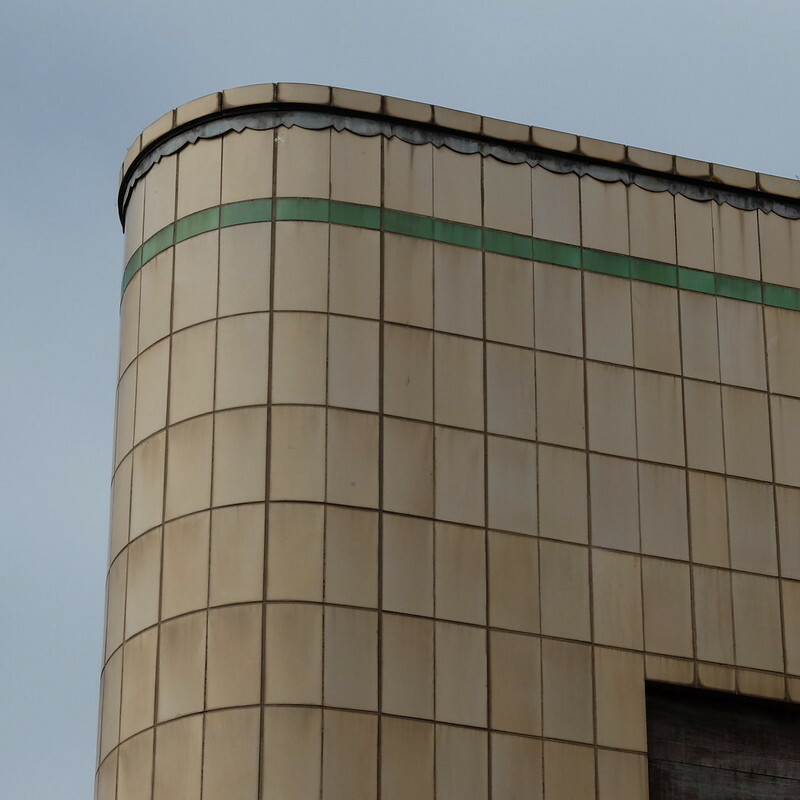 Known as the home of heavy industry, pumping plumes of smoke into the air from concrete towers, Port Talbot in South Wales also happens to have a marvellous selection of buildings dating from the 1920s and 1930s, with a few gems in the Art Deco style. 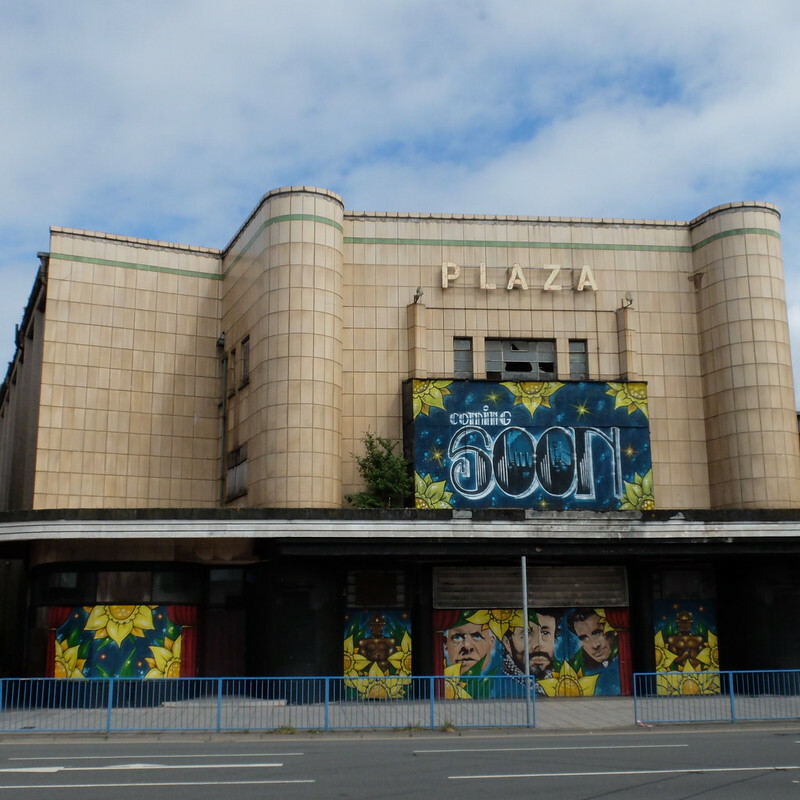 The jewel is the 'Plaza' Deco cinema. 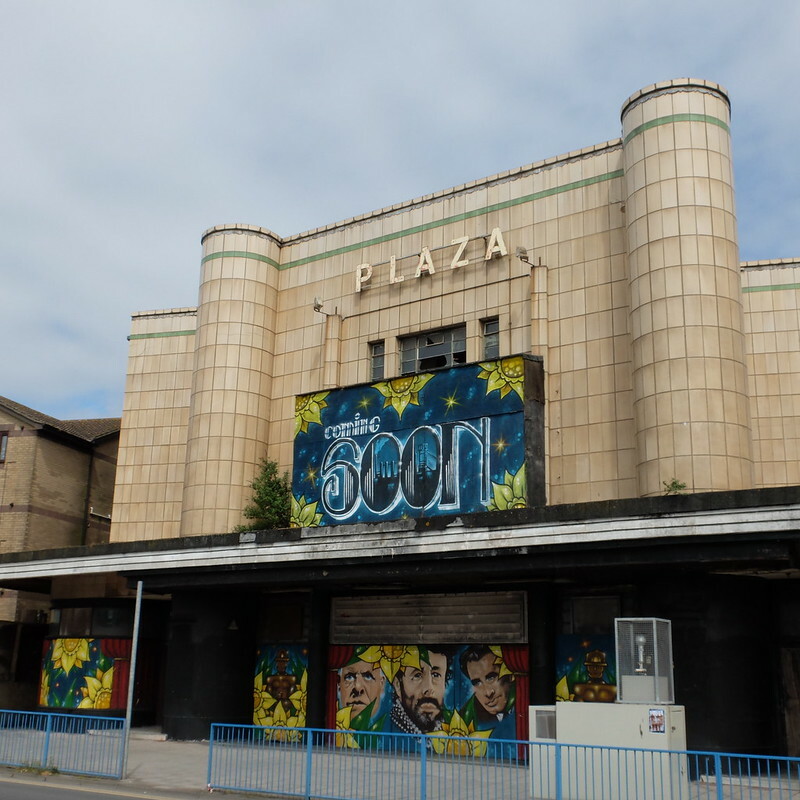 I believe that it's recently secured funding to be turned into an arts centre, and so hopefully that fabulous façade will be saved. 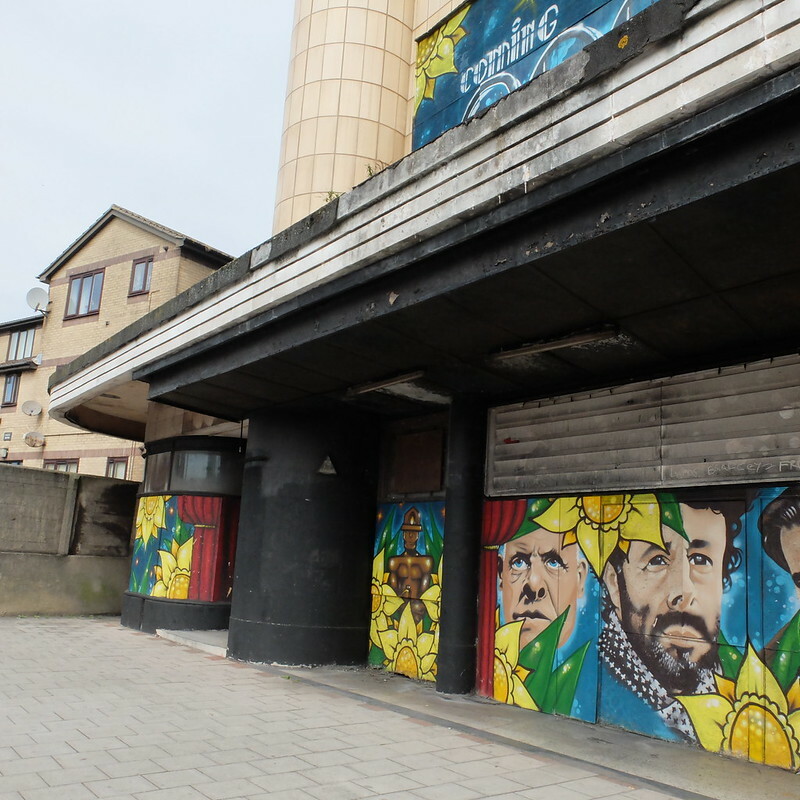 My trip to Port Talbot was entirely unplanned, it just happened to be where the nearest Minor Injuries Unit was located after my incident with the hot water bottle (see this post). 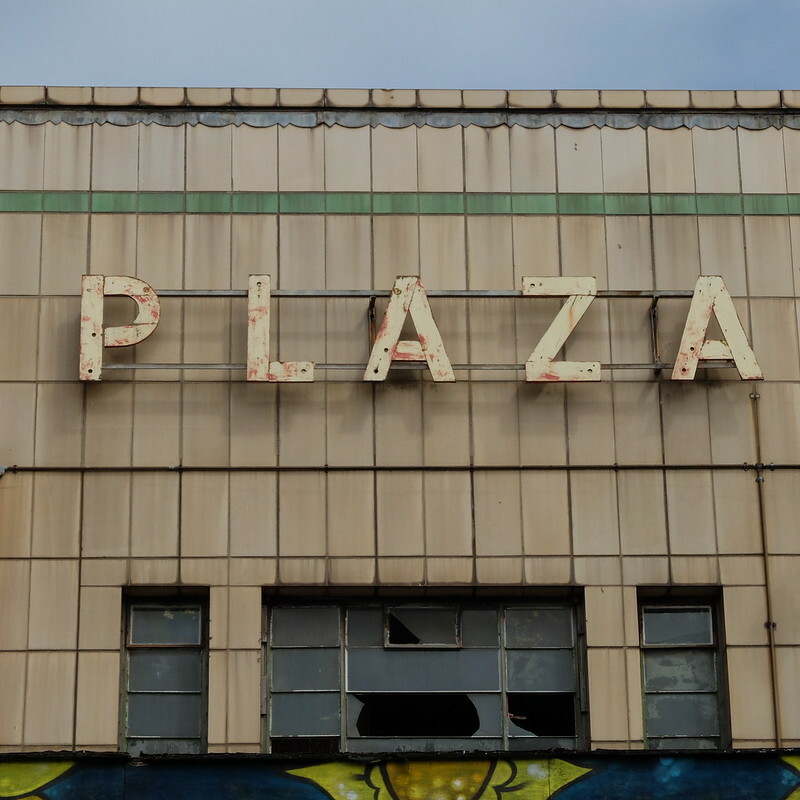 I always take my camera with me these days and was lucky enough to spy the Plaza when I was lost (again). 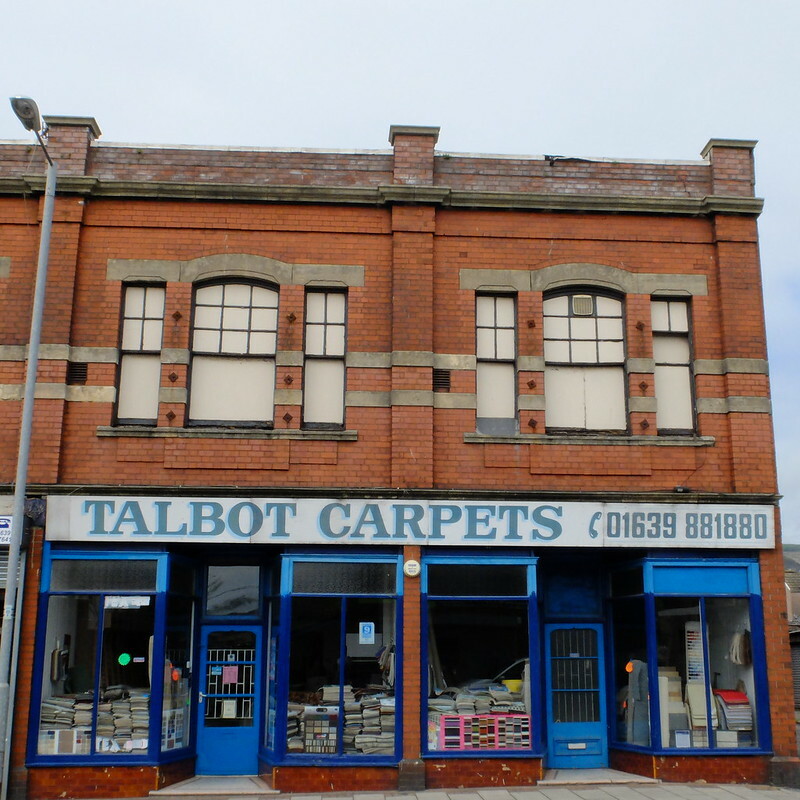 There are other buildings on the same street from the era, including a hardware store that is quite well preserved and I also spied a somewhat unfortunate Victorian building that is now half pebble-dashed over the lovely original tiles! 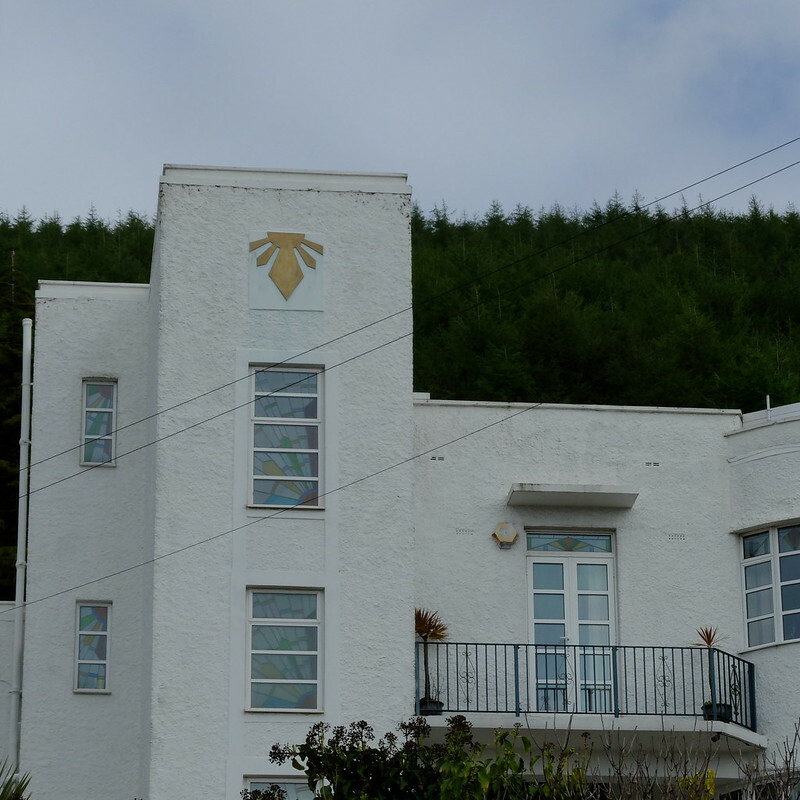 A little further away, in Baglan, is this gorgeous Art Deco villa, that used to be known as 'Mug's Villa' because the owner made his fortune through a gambling business. Classical singer Paul Potts is the present owner, and made the press because he made some changes to the interior without the necessary permissions, as it's a listed building that's protected for its architectural importance. 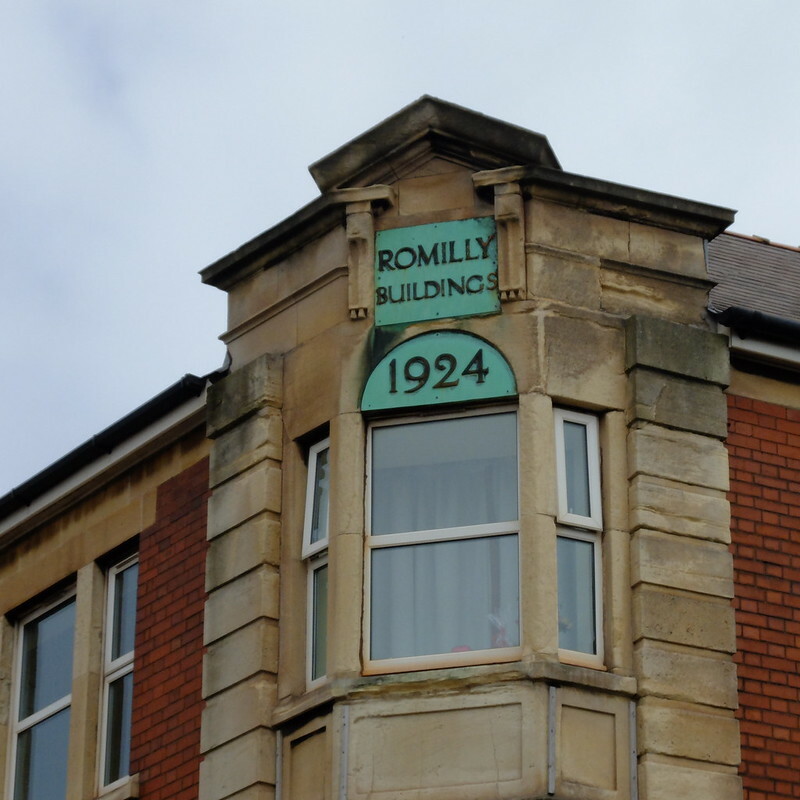 It just shows that Britain has a wealth of buildings of architectural and historic importance, and that you don't have to go far to find them. 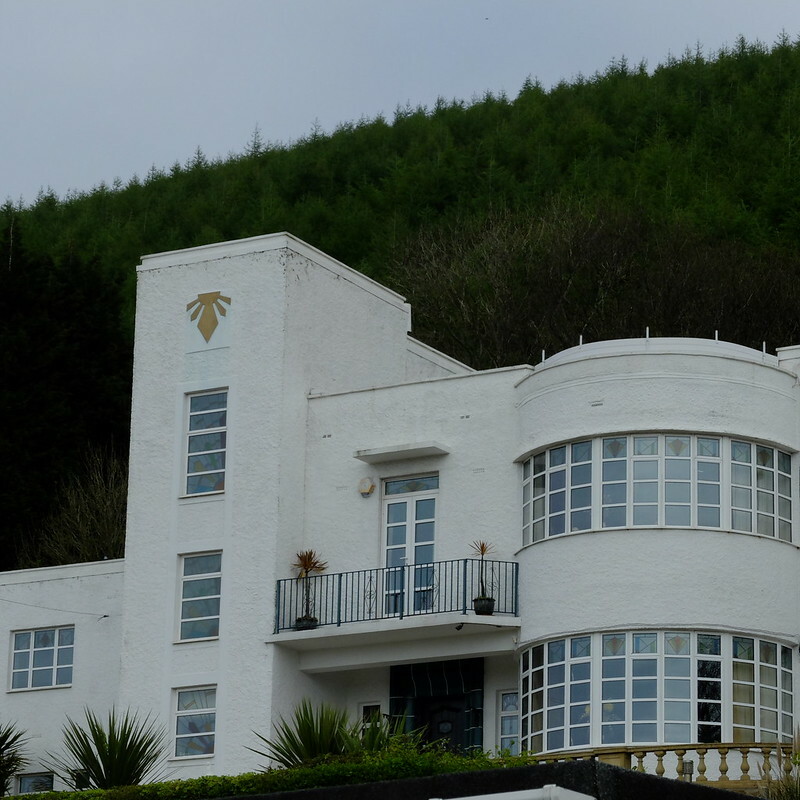 Do you have any examples of 1920s or 1930s architecture where you live? 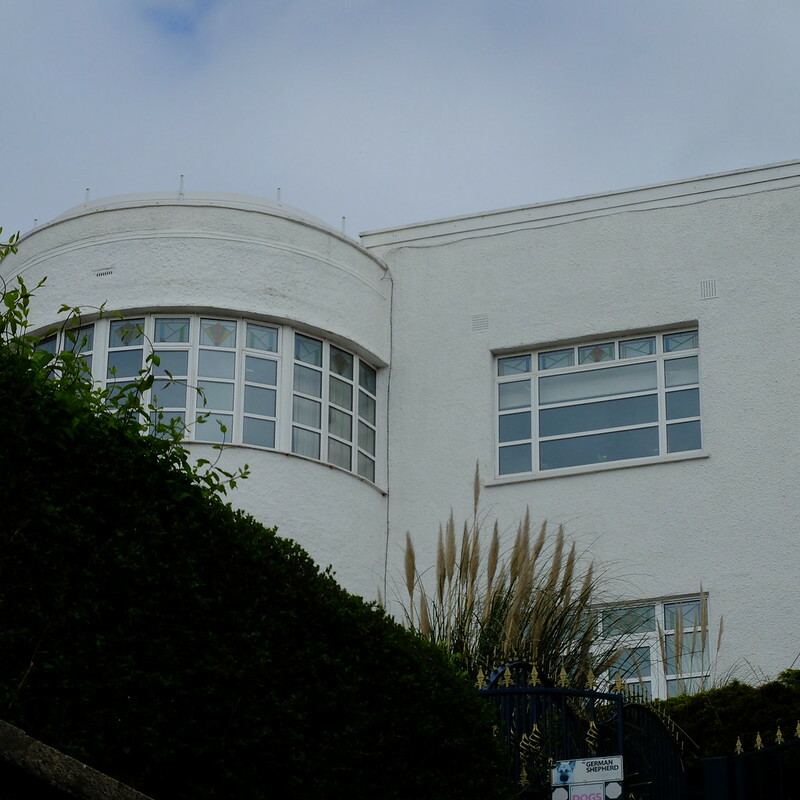 Or unlikely places that house architectural gems? That's a side of Port Talbot I never expected! 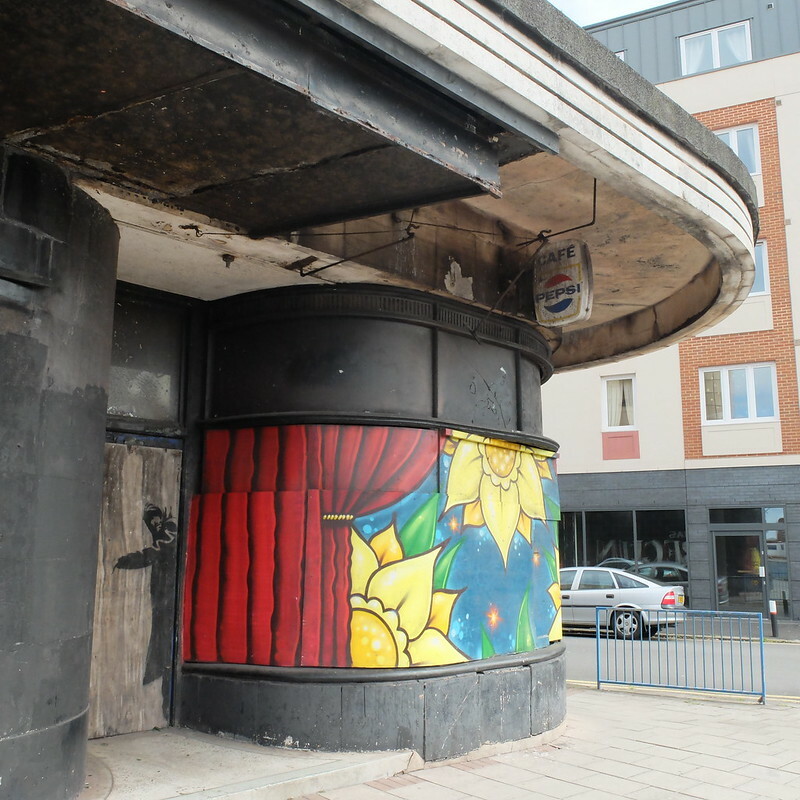 It'll be fab if they can bring new life back to that splendid old cinema. I wonder if any of the interior is intact? Probably not. And a big AUGH to that pebble dash, what on earth were they thinking? 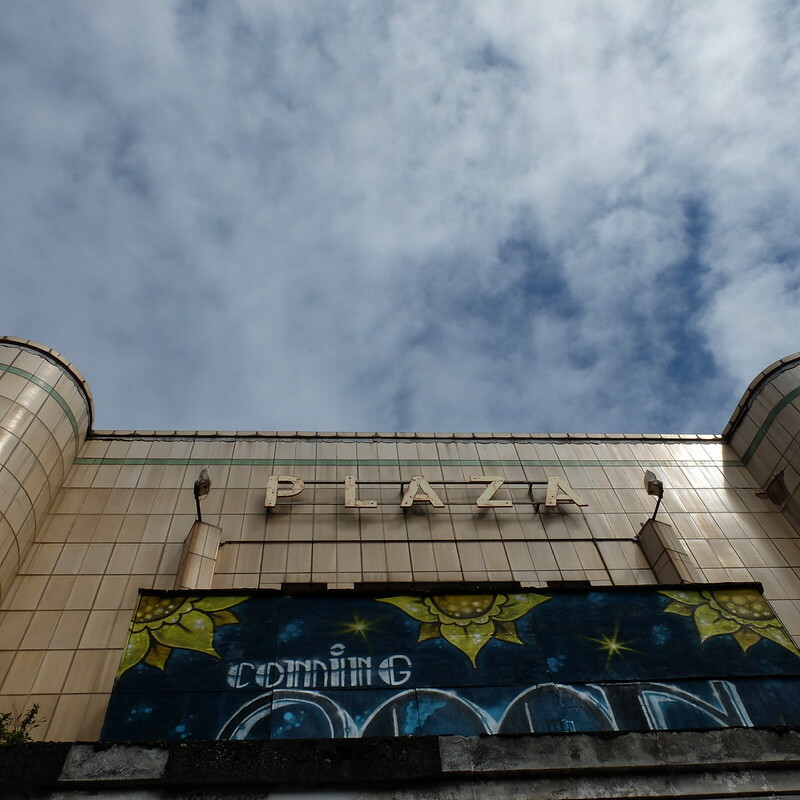 There's not much art deco near me - not really surprising in Bath - though the Forum Cinema is still standing, and has a gorgeous deco interior too. It's always a treat to go there. It's a church now, but they allow it to be used for events, and they have to maintain the interior. 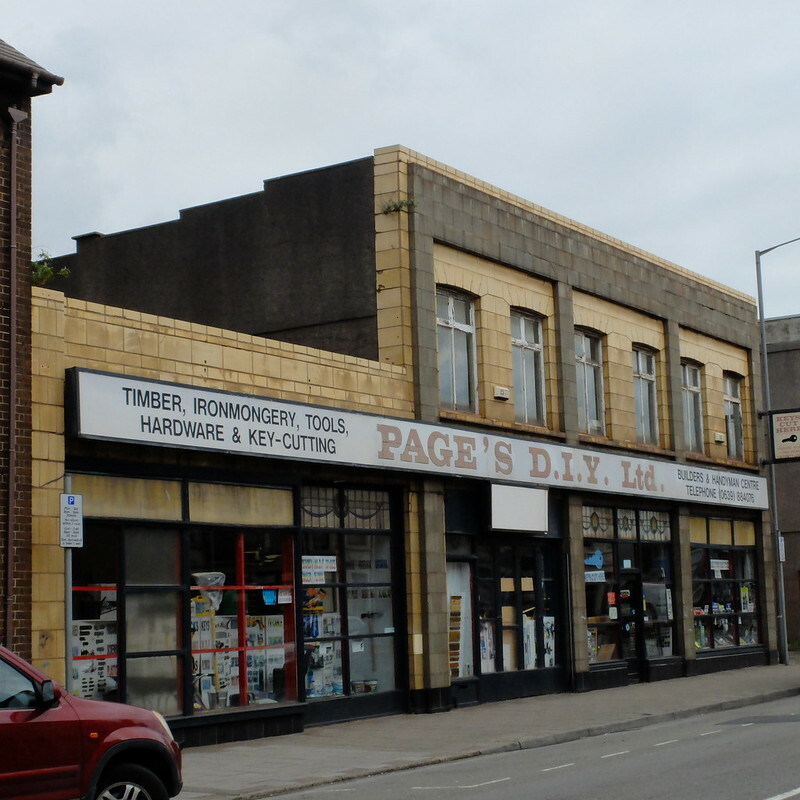 I can't think of any deco in Trowbridge; most of its notable buildings are Georgian and Victorian. 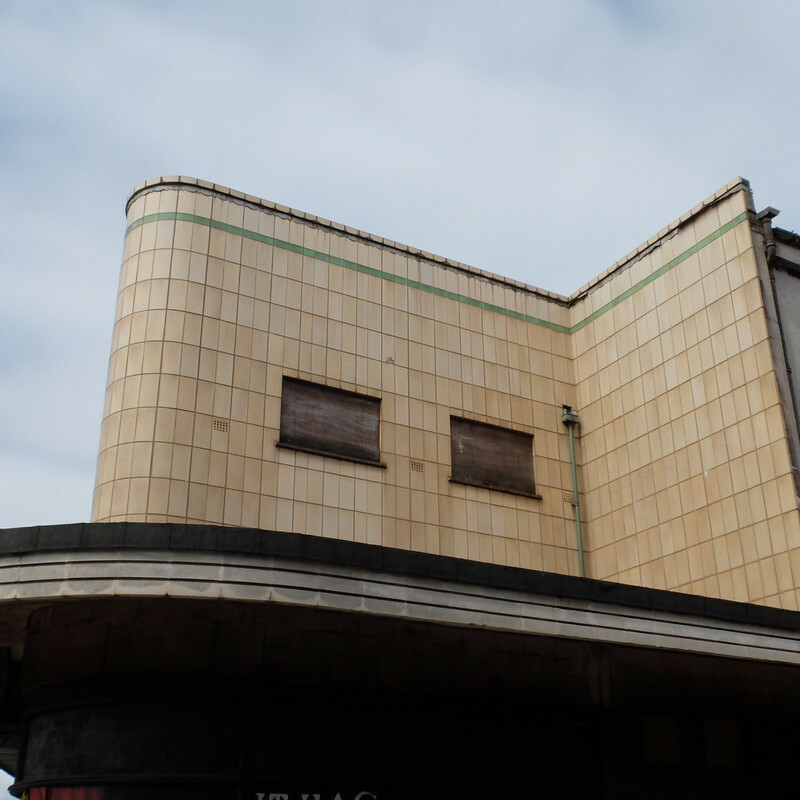 Great shots of all the art deco buildings! Your photos are beautiful! What a glorious post, I've revisited it several times just to marvel at the photos. Funnily enough I've just started reading a book today and the hero is currently in Port Talbot! 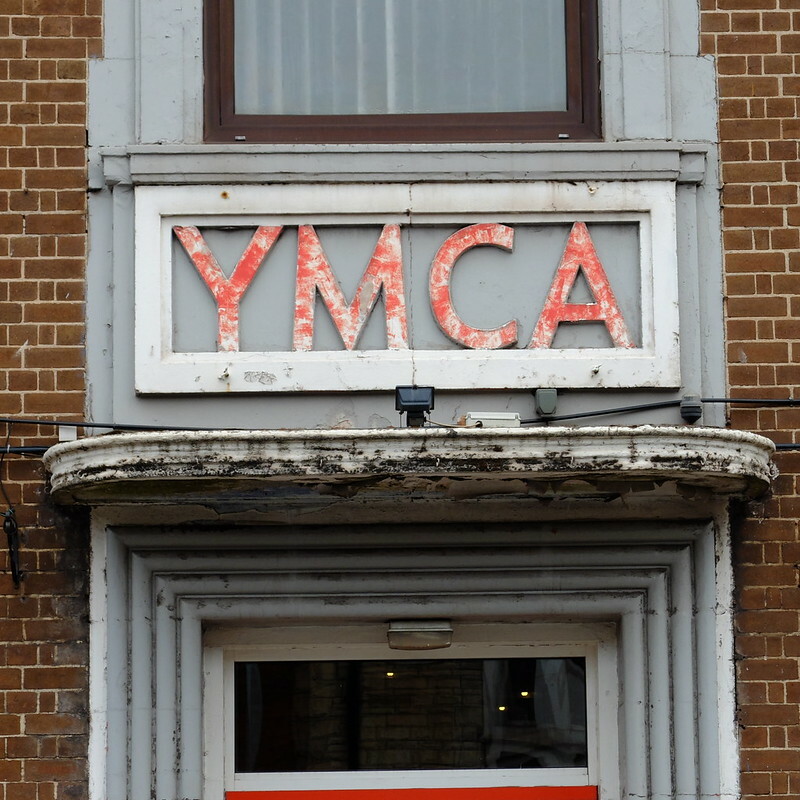 That is one deco-tastic facade! 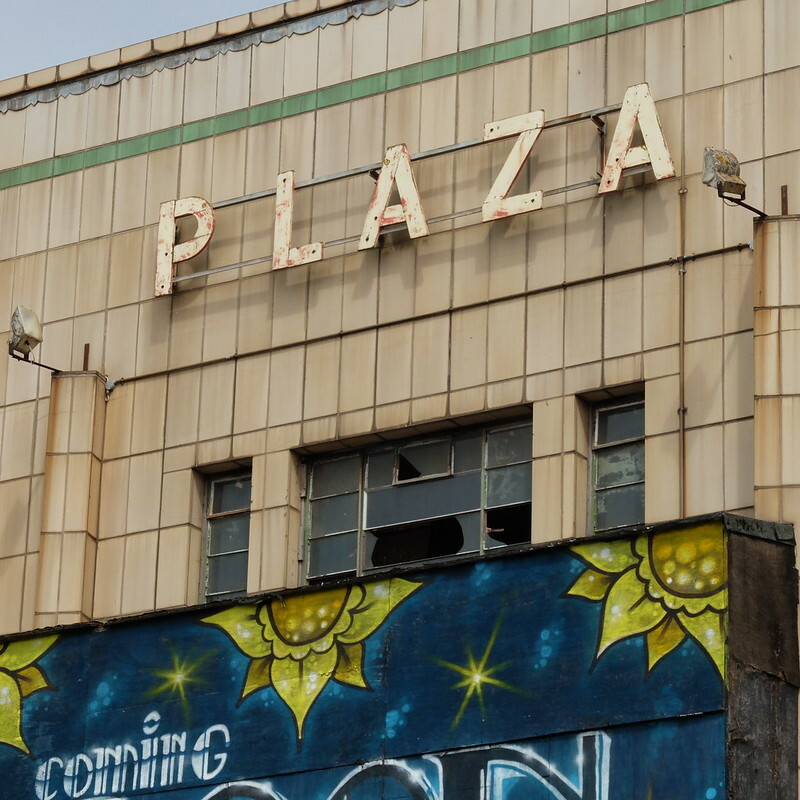 I hope they fix it up and keep the beautiful deco details. I can't believe anyone would ever think of putting nasty pebbles over that gorgeous Victorian tile! Who approves that nonsense. 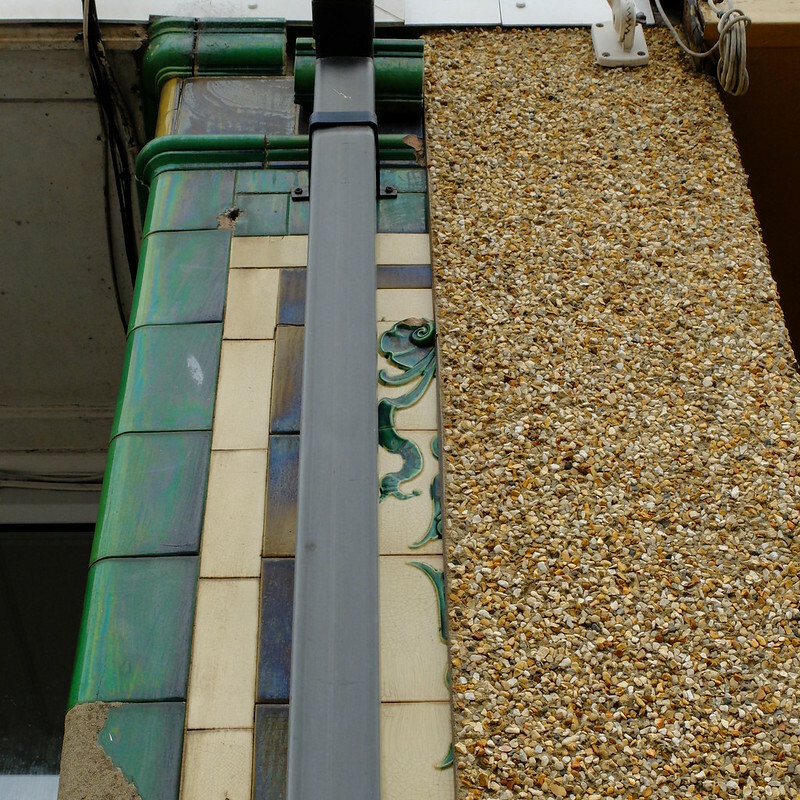 One of my favorite things to spot when I was in London were the original tiles in old tube stations, those Victorians sure had an eye for tiling! Wow what a bunch of cool buildings, we don't have anything from that era near me that I can think of. It's crazy to think people would take away a building's heritage like that, crazy! Gorgeous buildings and shops. I love how fabulously old school some of those stores are. 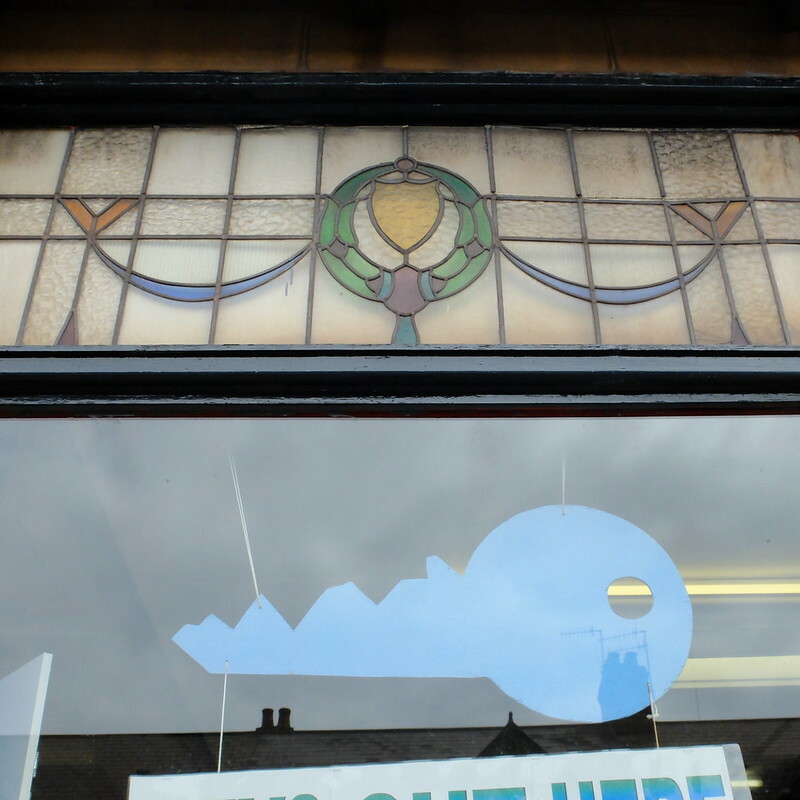 Perhaps this is just a North American thing, but I can't recall ever seeing the word ironmongery on a shopfront here. How cool! I wonder what it is that's "coming soon" to that first building, though. I really love that villa, it's absolutely gorgeous. I feel like if I lived there I'd have to host murder mystery dinner theater at least once a month - 1920s costume required for all attendees. There are actually a lot of houses here in Chicago that were built in the 20s, and you can see little ornamental touches in the brickwork and things like that. There's one absolutely stunning building downtown called the Carbon and Carbide Building (it's worth googling) that is just gloriously art deco. It's designed to look like a champagne bottle. Such lovely buildings. It's shame not more of them survive and that the ones that do aren't more historically restored!